At the end of May I spent a couple of days at the ICLEI resilience cities congress finding out about the latest global urban adaptation work and sharing experiences from the work that we are involved with in Scotland. There is no better place to be immersed in all things urban climate resilience related that at the resilient cities congress. It’s a three day round the clock networking and information sharing bonanza. Whilst there I presented on our work in Glasgow and the wider city region and gained many fascinating insights into work going on elsewhere. This entry was posted in Uncategorized on July 3, 2014 by Anna Beswick. 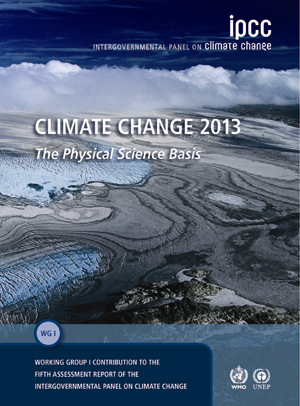 IPCC focus is on adaptation, can we transform? This week the IPCC released “Climate Change 2014: Impacts, Adaptation, and Vulnerability”, the second of three reports that will make up the IPCC Fifth Assessment Report (AR5). It follows on from last year’s report that laid out the physical science of climate change – which made clear our prospects of facing global temperature increases of more than 2°C – and up to 5°C – over this century. This new report investigates the consequences of climate change – looking at impacts and vulnerability across the world. However, there is a fundamental shift of emphasis, with a focus now on adaptation – especially given the serious, but uncertain, impacts that we are likely to face as our climate changes. This entry was posted in Uncategorized and tagged adaptation, climate change, IPCC Fifth Assessment Report on April 3, 2014 by Joseph Hagg. This lunchtime I took a short detour from the rigours of adaptation planning and took myself off to a creative writing and poetry workshop at the Lighthouse in Glasgow. It was amazing and, as often happens it brought me right back to thoughts of resilience building, future and legacy. 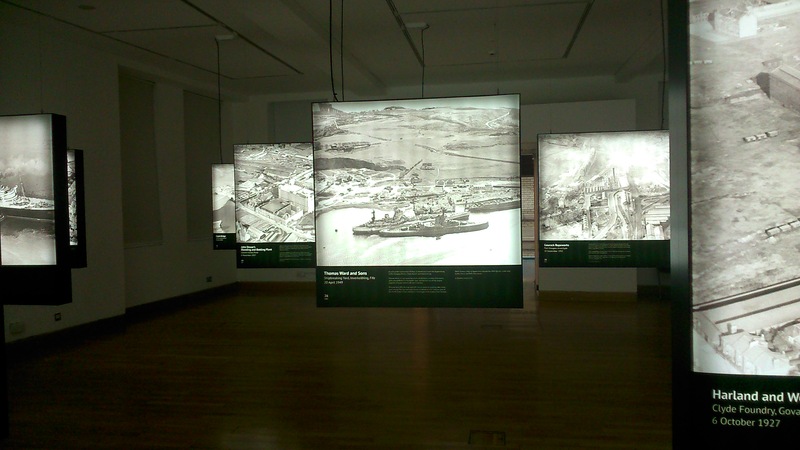 The workshop centred on a beautiful Britain From Above photography exhibition which shows amazing aerial photography of Glasgow and the Clyde Valley taken during the early 1900’s. The photo below doesn’t do it justice – if you are in Glasgow I’d highly recommend a visit. This entry was posted in General, Uncategorized and tagged climate change on March 31, 2014 by Anna Beswick. Adaptation Scotland has a project underway to produce a set of visuals that show what an adapting climate ready Scotland could look like. To do this we brought people together to share their ideas and create a joint vision. This discussion was captured live with drawing by Dan and Chris from Scriberia, who specialise in ‘live scribing’. This was an absolutely fantastic experience and made for a wide ranging and dynamic workshop. Some great new images are now being worked up, and we will be sharing these with you in the spring – in the meantime here is a short film we have put together from the workshop. This entry was posted in Uncategorized on January 9, 2014 by Joseph Hagg. Managing climate risks – where do I begin? At an event in London on 15th October, speakers from BusinessGreen and PricewaterhouseCoopers (PwC) reinforced the message that while many businesses have thought about their future climate risks, only a small proportion has implemented any arrangements to manage them. This is hardly surprising given competing strategic priorities, limited time and money, and a lack of understanding of the need to do anything. This entry was posted in Uncategorized and tagged climate change, Climate risks, critical functions, integration, organisations, scotland on October 17, 2013 by Karen Miller. What next for the IPCC? How can we get action on climate change? There is broad scientific consensus on climate change. What we need now is change – a transformation that responds to the scale of the challenge we actually face. Perhaps a ‘Campaign Climate’ that brings in the grassroots is a way forward? This entry was posted in The Science and tagged Campaign Climate, climate change, IPCC on October 4, 2013 by Joseph Hagg. Eric Dawson from Architecture+Design Scotland has provided an interesting and insightful summary of his day at Scotland’s Adaptation Conference – we’re cross-posting it here! A+DS has been pleased to support and collaborate with Adaptation Scotland / Sniffer in relation to climate change initiatives that have included training events and the recent launch of the short film ‘Adapting to Change: Scotland’s Climate Stories’. This article provides a summary of Scotland’s Adaptation Conference on ‘showcasing – engaging – inspiring’ which was held at Our Dynamic Earth on 9 September 2013. 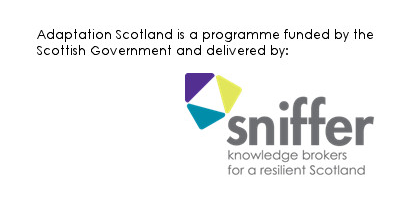 The event was organised by Adaptation Scotland and Sniffer, and sponsored by SEPA, SNH and The Scottish Government. The event featured a series of presentation, and the keynote address was provided by Paul Wheelhouse MSP, Minister for Environment and Climate Change, who noted evidence that climate is changing and that key challenges lie ahead. The Minister spoke of a need to become more resilient through forming new partnerships and collaborations. He described a need for a shared vision, and referred to examples of work being done by ‘Climate Ready Clyde’ and Tayplan. This entry was posted in Events on September 30, 2013 by Adaptation Scotland.